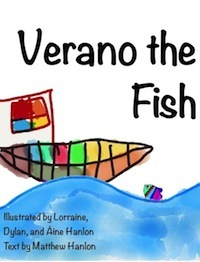 Verano the Fish is the first thrilling installment of the saga of young Verano, a precocious fish living out in the great wild sea. But will his first adventure also be his last? Will his family come to his rescue? Or will his meeting with the fisherman be just the start of a long, well-lived life? All this and more awaits you in the salty tale of Verano the Fish, available for free on the iBookstore, and for $2.99 on Amazon.com.